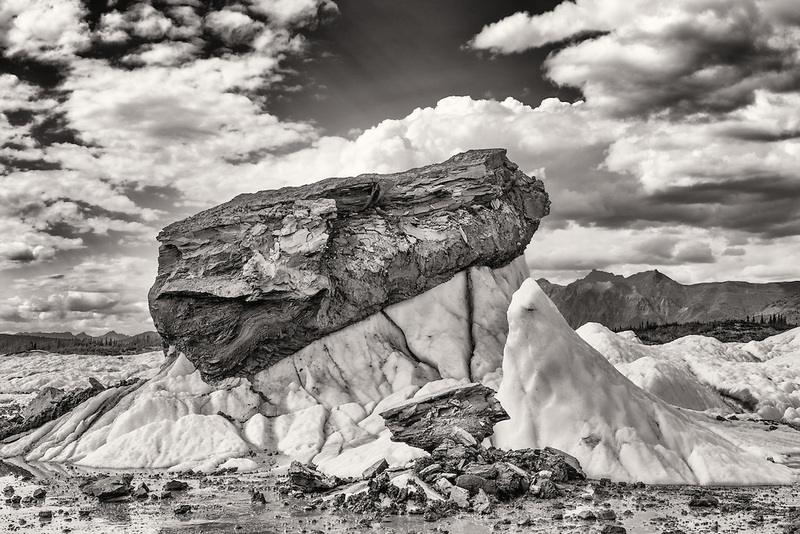 Compacted glacial silt sits on a pedestal of melting ice on Matanuska Glacier in Southcentral Alaska. Summer. Afternoon.